With miles of spectacular coastline, woodland trails, riverside rambles and rolling countryside, South Devon has a myriad of stunning walking routes that crisscross the region. A designated Area of Outstanding Natural Beauty, this corner of Devon is a walking wonderland, and is home to an abundance of wildlife, historical landmarks, secret coves, and hidden nooks and crannies. Regardless of whether you want to wear hiking boots, flip-flops or wellies, there are numerous stunning walks in South Devon, making it the perfect location for a walking holiday. Our walking guide offers an exciting overview to some of the most popular walking routes in the region. We’ve handpicked a selection of walks in South Devon aimed to suit a variety of ages and abilities, and created step-by-step guides including OS maps, to help explore the region by foot. 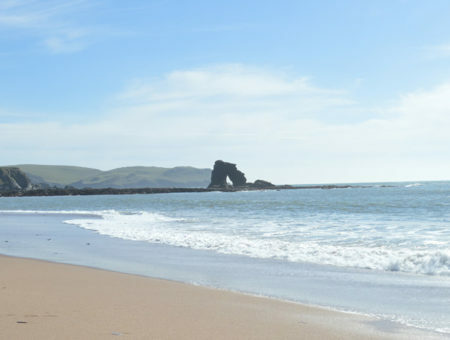 From seasoned ramblers looking to muddy their walking boots, couples in search of romantic sunset spots, or families with children eager for adventure, our walking guide is your handbook to discovering South Devon’s unspoilt beauty. Furthermore, the guide also includes a feature walk from the National Trust, as well as advice from the National Farmer’s Union on wise walking in South Devon. For those wanting to take a walk on the wild side, South Devon based Forest & Beach school leader Peter Moore shares with us the types of wildlife we might expect to see, including the peregrine falcon and grey seal! 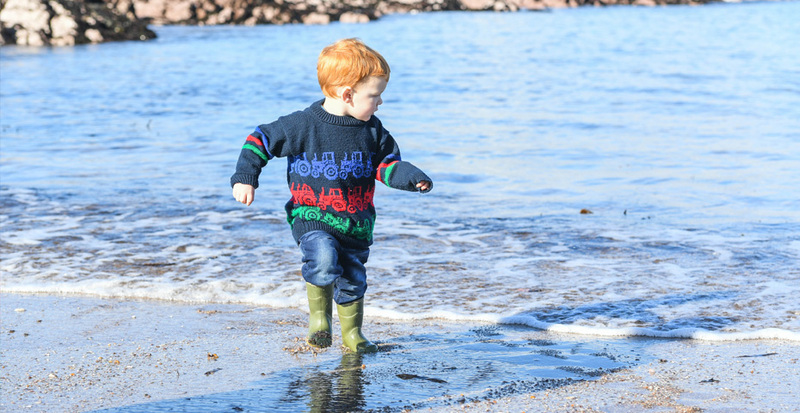 For those with small children, Claire Hall, author of the ‘Tin Box Traveller’ family travel blog, and Corinne Lynn, owner and founder of Salcombe’s ‘The Kidz & Co’, offer their tips for where best to walk whilst having to push your little ones along in the pram. Here are our individual guides to the most popular walks in South Devon. You will find information about distance, terrain, a handy route map and finer details of the route itself. Click the quick links below, or read on for further information. 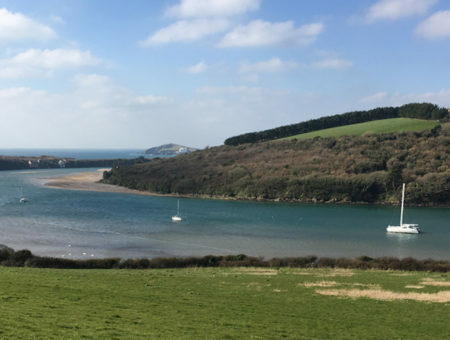 Salcombe boasts an enormous variety of options in the area to explore by foot, from sweeping estuary views, stunning sandy beaches and picturesque rolling countryside you will find walks around Salcombe that appeal to all abilities. 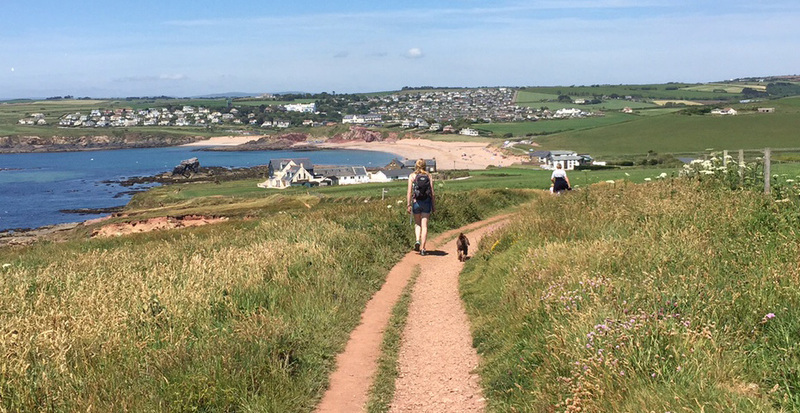 Whether you want to amble along a gentle circular trail with little legs in tow, or hike over the region’s toughest coastal hills, you will not be disappointed, and are spoilt for choice in this area of South Devon. 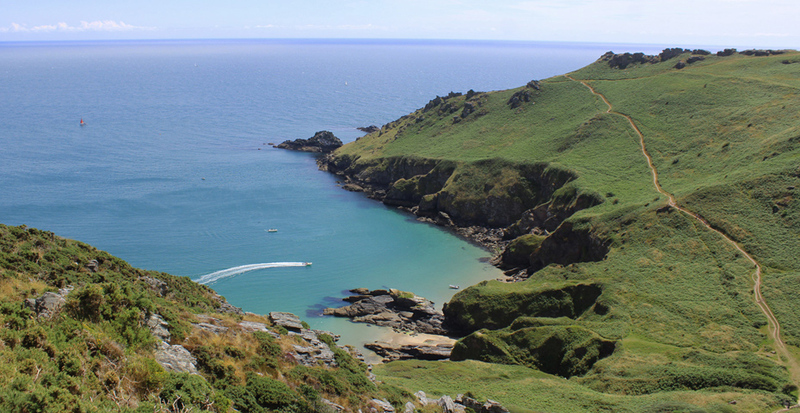 Want to find even more walks around Salcombe? Browse our popular articles on stunning coastal walks near Salcombe and Salcombe walks for pushchair users. There is no better way to get to know Dartmouth and the surrounding area than to explore it by foot. 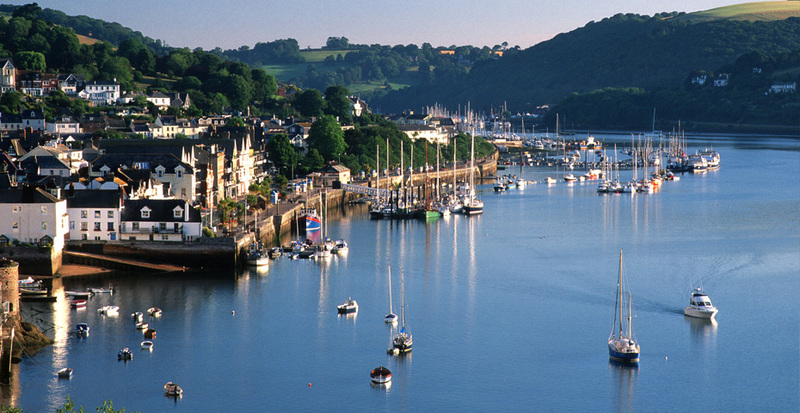 Whether you choose to trek the coast path, explore the historic maritime town or ramble up the Dart Valley, you will be amazed at the variety of scenery you can cover in just a short space of time. 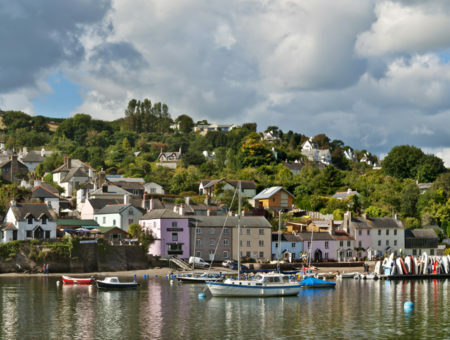 Expect to navigate your way along cobbled streets with boutique shops, and pass through unspoilt farmland, all whilst enjoying panoramic with river views stretching towards Kingswear, or to the iconic Start Point Lighthouse from above Blackpool Sands. Walking, regardless of distance, tends to build a healthy appetite, and a rumbling belly should never be ignored. In our opinion, one of the best things about staying in our region is being able to easily combine picturesque hiking trails with excellent eateries. Whether you’re looking for a short stroll and a quick waterside pint, or a day-long hike ending with fish and chips, you’ll find all this and more in our Area of Outstanding Natural Beauty. Corrine, owner of The Kidz & Co. soft play cafe, Salcombe. South Devon has many great activities and attractions for all the family to enjoy, both indoors and outdoors. For further suggestions, take a look at the 51 reasons to visit South Devon, or browse our family days out pages. With miles of South West Coast path to explore, not to mention the wealth of dog-friendly beaches, woodland trails and rolling countryside, South Devon is a pooch’s paradise. 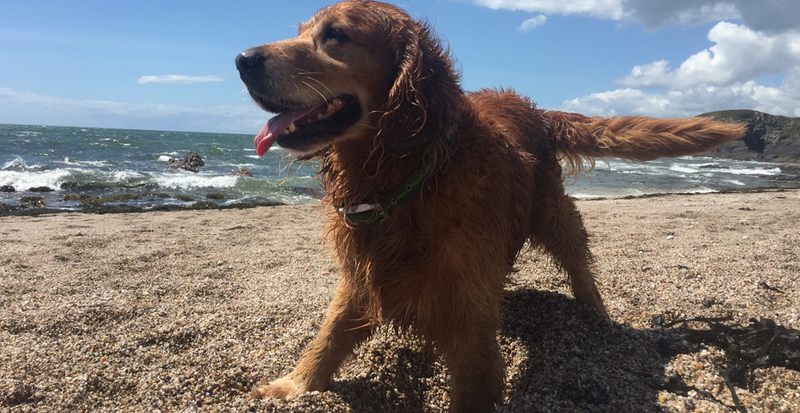 We love dogs at Coast & Country Cottages, so much so, that our locally based team created ‘South Devon Loves Dogs’, a freely downloadable guide to having the perfect holiday with your pet. Our favourite dog-friendly walk stretches from Beesands to Hallsands. 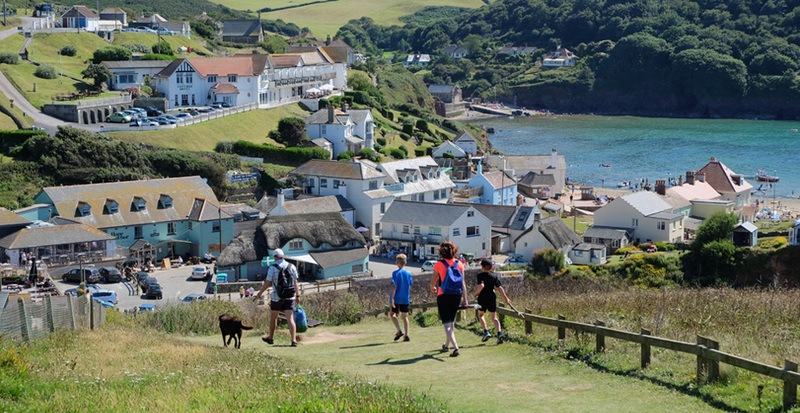 This stunning route boasts outstanding views of some of the Start Bay’s most breathtaking sights, including elevated views of the picturesque villages of Beesands and Hallsands, the ruins of South Hallsands, and in the distance, the iconic Start Point lighthouse. Why not explore our extensive range of around 100 dog-friendly properties? From secluded farmhouses with generous gardens and charming chocolate box cottages to luxury waterside properties, all within easy reach of dog-friendly eateries and other attractions, we have the perfect property for your dog-friendly holiday. With a number of properties situated just a stone’s throw from the South West Coast Path and beautiful beaches, we have the perfect location for your walking break. Several of the fantastic walking routes above are detailed in our South Devon Walking Guide with easy-to-follow directions, plus maps. Click here to download your free copy now!